The Totino-Grace senior will be recognized at the Minnesota Football Honors event on April 27. MINNEAPOLIS, MN - April 3, 2019 - Evan Spevacek of Totino-Grace High School has been named a Scholar Athlete by the Minnesota Chapter of the National Football Foundation. He and the other honorees will be recognized at the 12th Annual Minnesota Football Honors on Saturday, April 27 at U.S. Bank Stadium. Spevacek captained the Eagles as a senior and played wide receiver and free safety. He received all-district honorable mention after an injury-shortened 2018 season in which he caught 21 passes for an average of 11.5 yards per reception, and scored a touchdown. Spevacek was a three-year letterwinner and two-year starter. He also played baseball for the Eagles. Spevacek has maintained a 4.0 grade point average while enrolled in Totino-Grace’s E3 Engineering Institute, which requires students to take rigorous coursework and complete high-level projects. His academic schedule has included 12 honors and four AP classes. Spevacek is a National Honor Society member and honor roll student. He plans to study biology at St. John’s University. In the community Spevacek has gone out of his way to make a difference. He has participated in a two-day urban mission trip and a four-day mission trip in Chicago. Spevacek serves on Totino-Grace’s student ministry team, and has also devoted hours to various service projects including packing meals at Feed My Starving Children. The Minnesota Chapter of the National Football Foundation will host the 12th Annual Minnesota Football Honors on Saturday, April 27, 2019 at U.S. Bank Stadium. 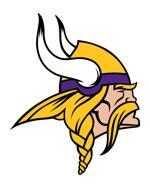 The event is presented by the Minnesota Vikings and is the largest football awards event in Minnesota. Doors open at 2 p.m. for the 4 p.m. event. The event is open to the public. For additional information about this year’s Minnesota Football Honors and to purchase tickets, please visit www.minnesotafootballhonors.com. For sponsorship information, please email sean@nffmn.org. The Minnesota Chapter of The National Football Foundation & College Hall of Fame is a local non-profit organization whose mission is to promote and develop the power of amateur football in developing the qualities of leadership, sportsmanship, competitive spirit and academic excellence in Minnesota’s young people. The MN Chapter recognizes legendary football icons, college football Hall of Famers and Minnesota’s top high school and college football scholar athletes. For more information, visit www.nffmn.org, Facebook or Twitter. ©2019 Minnesota Chapter of the National Football Foundation & College Hall of Fame / SportsEngine. All Rights Reserved.